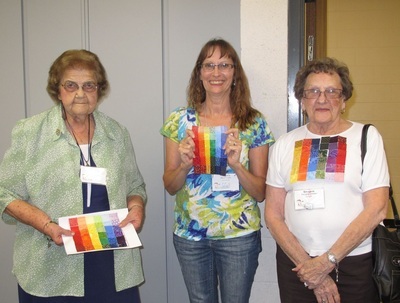 These wonderful ladies were a part of my classes when I taught them how to make a quilted mosaic quilt. We also talked about color and its properties so the natural outcome of that discussion was a quilted mosaic color study. What a wonderful time I had with both classes. 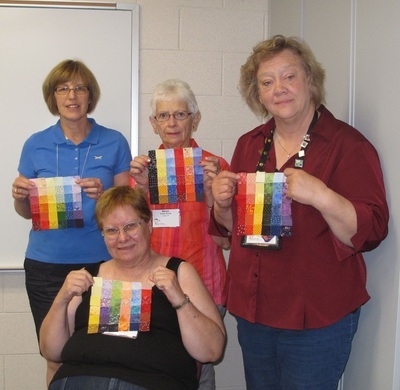 I learned so much - as is always the case when teaching a group of talented quilters. 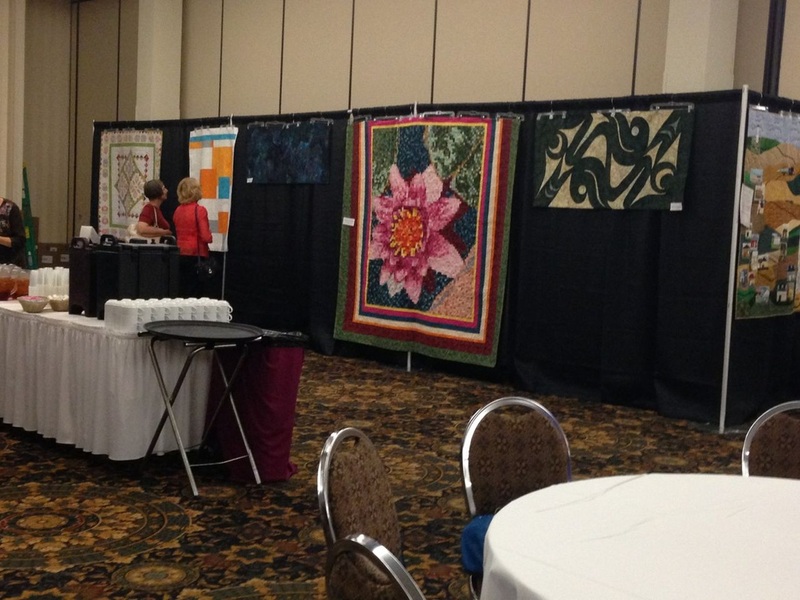 The photo below shows how my quilt was displayed for the convention. 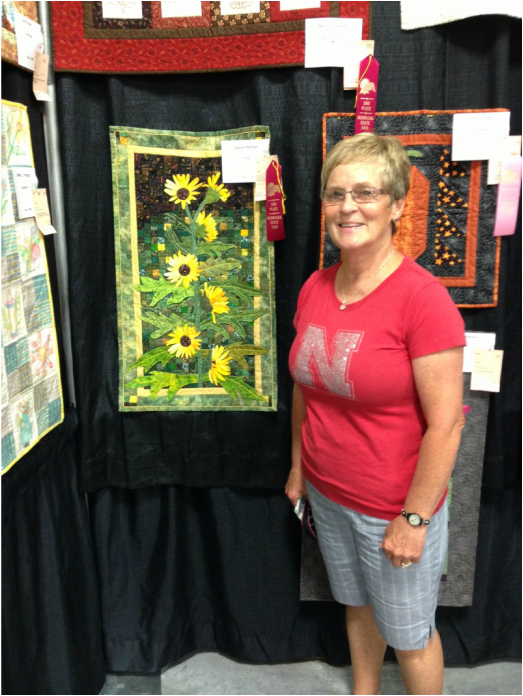 Judy Hilferty found my quilt at the state fair. 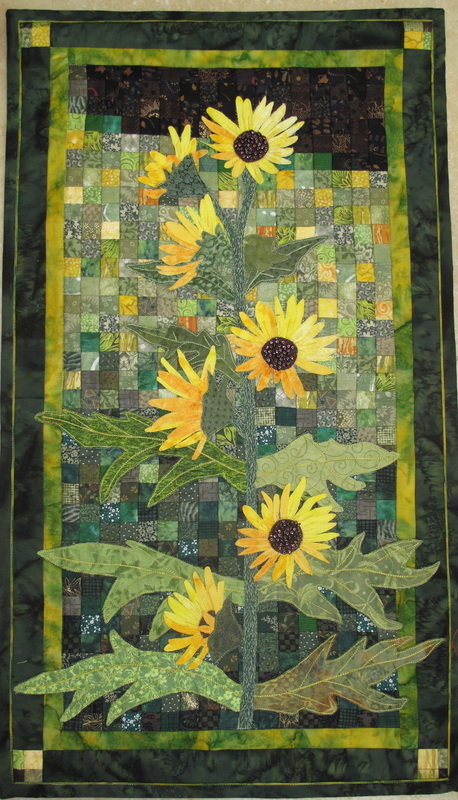 It received a 3rd place ribbon in the original design, large machine quilt division. 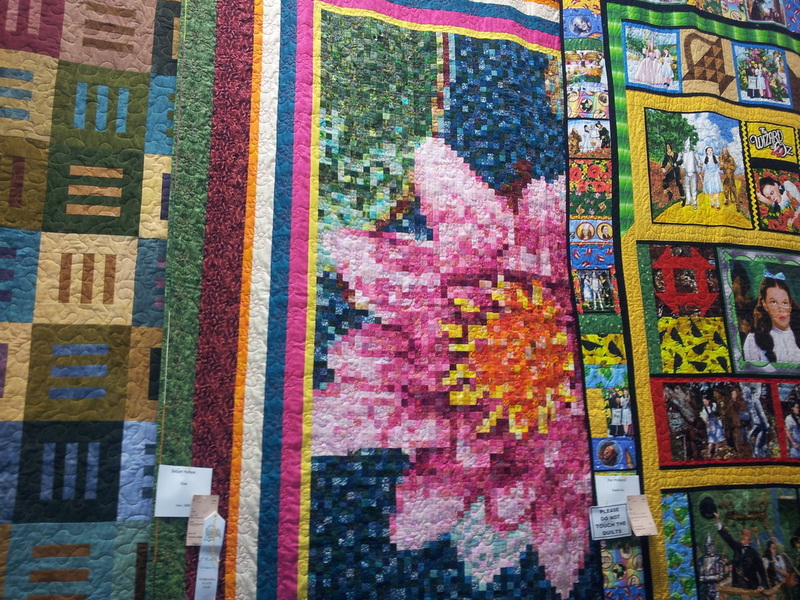 There were a total of 660 quilts in the show. 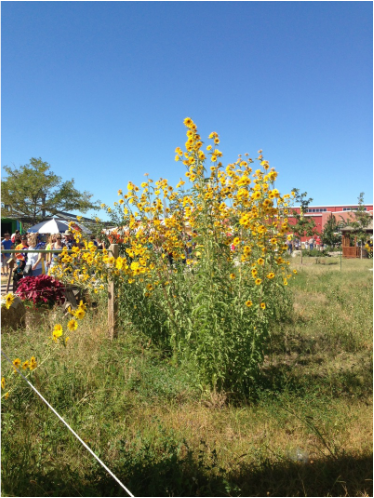 I discovered this compass plant growing on the grounds of the Nebraska State Fair in Grand Island. 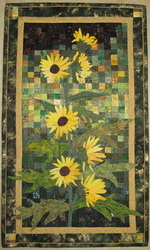 series on the Quilted Mosaics page. 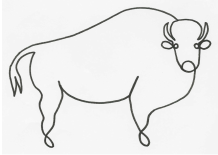 Tina Simeon was my co-chairman for the 2013 Cattleman's Ball Art Show. 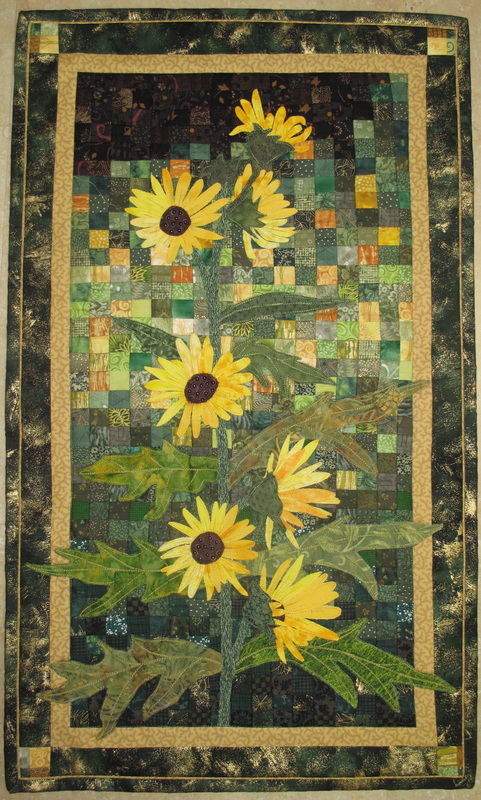 She is a renown artist in her own right and I was privileged to be able to work with her. She has become a dear friend and I am so glad we accomplished this together. 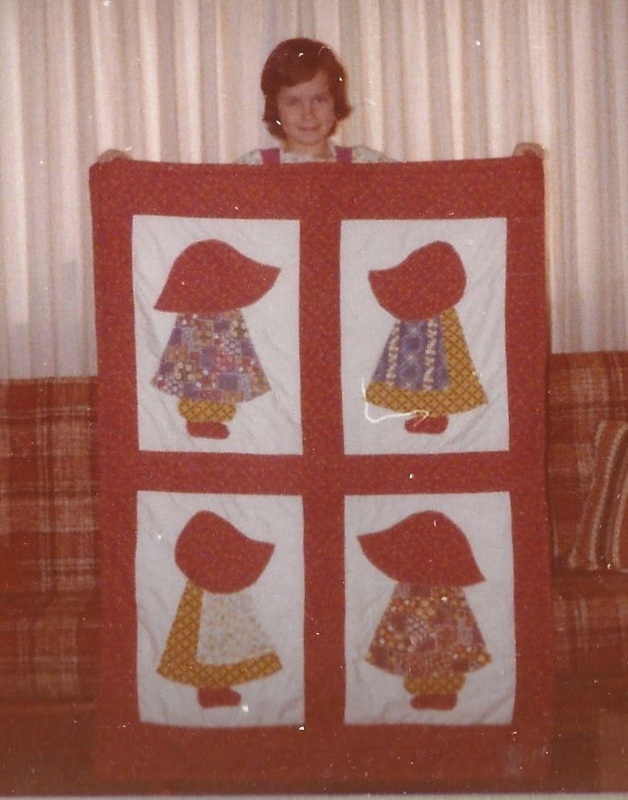 I was recently looking through some photo albums and came across this photo of my sister in 1973 holding the Sunbonnet Sue quilt I made her. She would have been five years old. 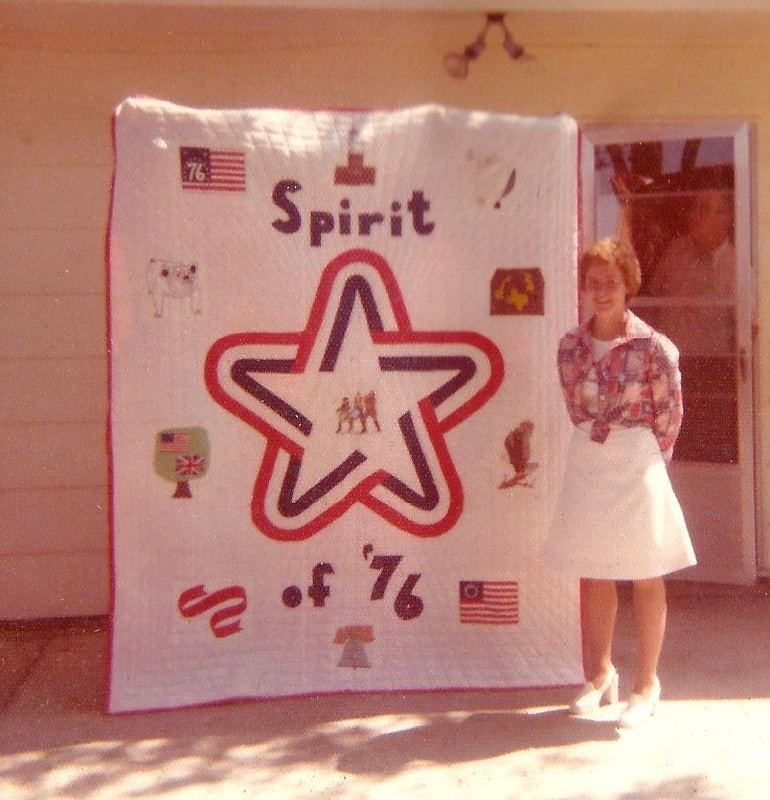 Also discovered in the album was this photo of the quilt that Nancy Chittenden commissioned for her niece, Alexandria Smith, to commemorate the US bi-centennial in 1976. 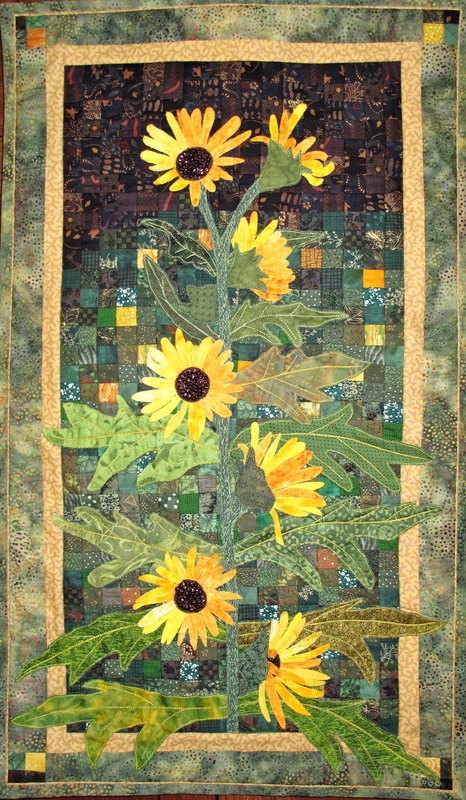 She lived in three world cities, London, Houston, and Oslo. 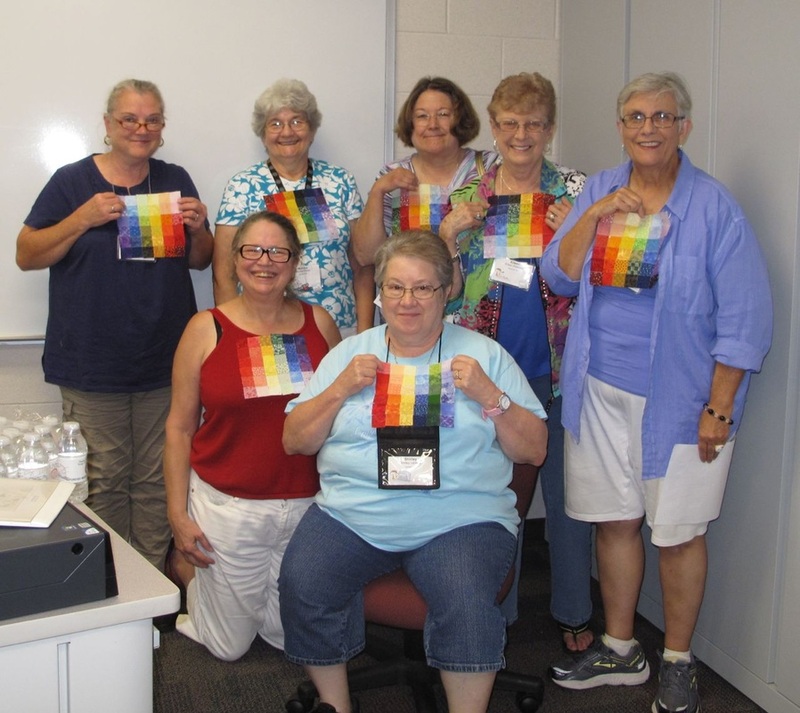 A note of the cities - each was on the coast and had two o's in their name. I asked $75 and she paid me $100. Even then, it wasn't enough.